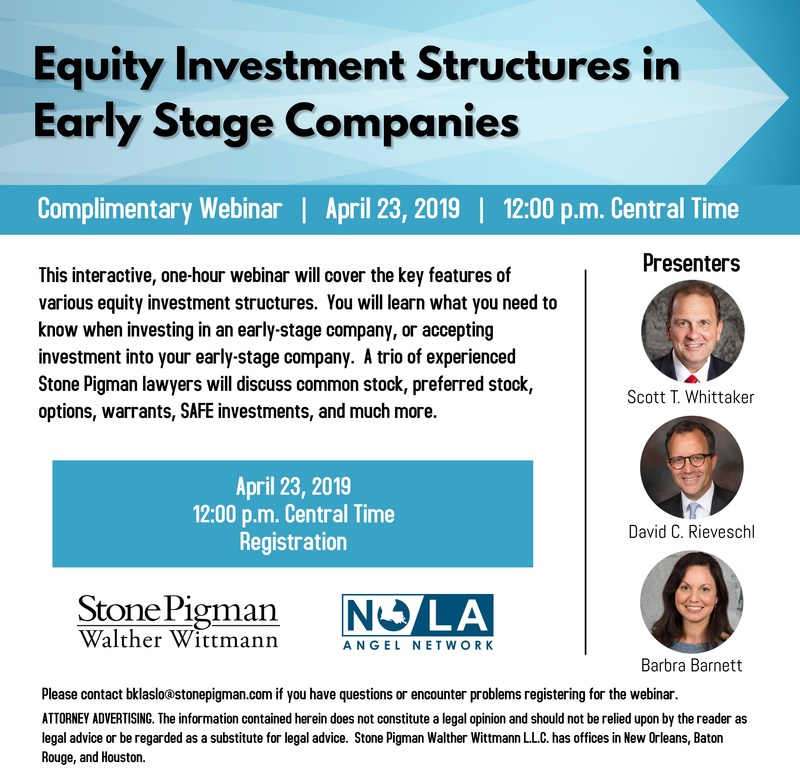 This interactive, one-hour complimentary webinar will cover the key features of various equity investment structures. You will learn what you need to know when investing in an early-stage company, or accepting investment into your early-stage company. A trio of experienced Stone Pigman lawyers will discuss common stock, preferred stock, options, warrants, SAFE investments, and much more. April 23, 2019 at 12:00 p.m. Central Time.